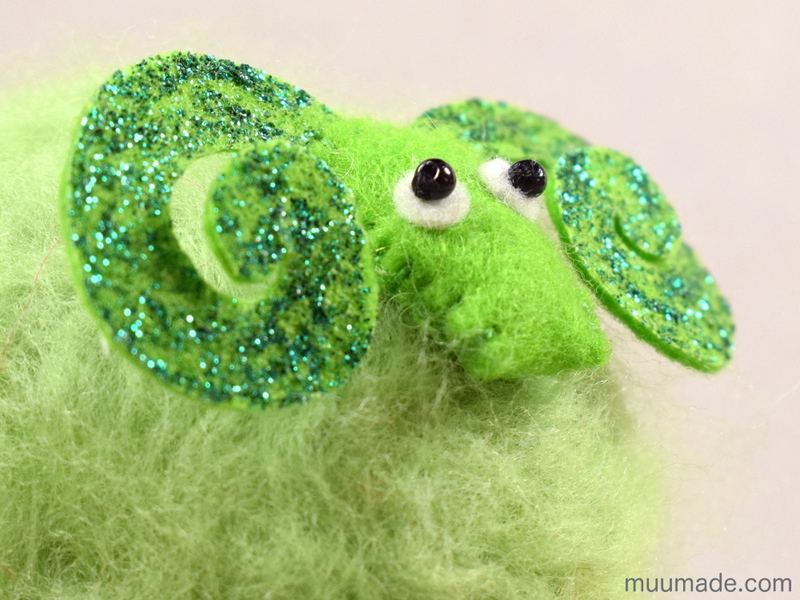 The Simply Simple Sheep sewing pattern & tutorial includes instructions for making a family of three different fluffy felt sheep. It is a very easy, beginner friendly hand sewing project. 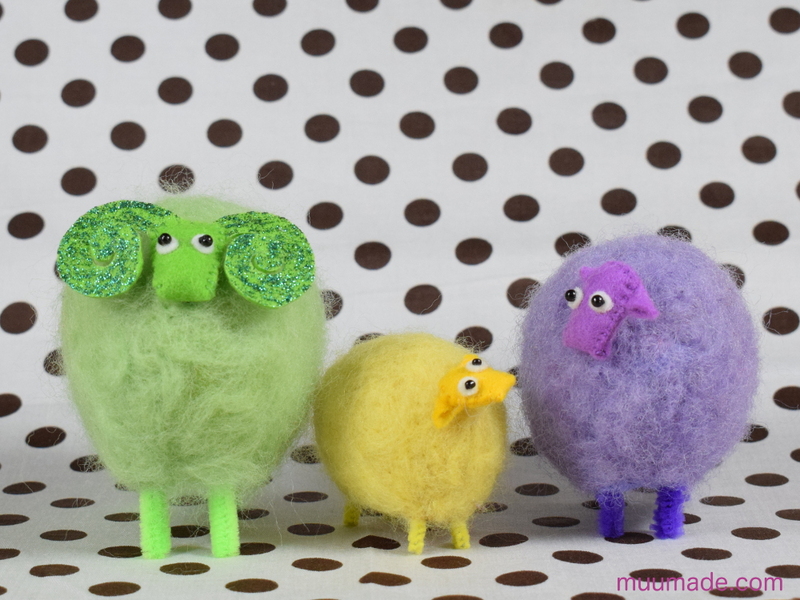 I made the sheep family shown above in pastel colors (perfect for Easter! ), but you can pick whatever colors you like for your sheep. And the craft pipe cleaner legs can be in matching or complementary colors to that of their wool coat. The Simply Simple Father Sheep has a big pair of horns. They are adorned with glitter to emphasize their mightiness. By the way, did you know that sheep horns are hollow inside once removed from their bone cores? That is why they can be used as drinking vessels, which are so often associated with the typical images of Vikings! The head of a Simply Simple Sheep can be moved and angled in any way you like and as many times as you wish. I had a lot of fun making the above stop motion video. If you are interested in making your own stop motion videos, read my post: Stop Motion Videos Made Easy! 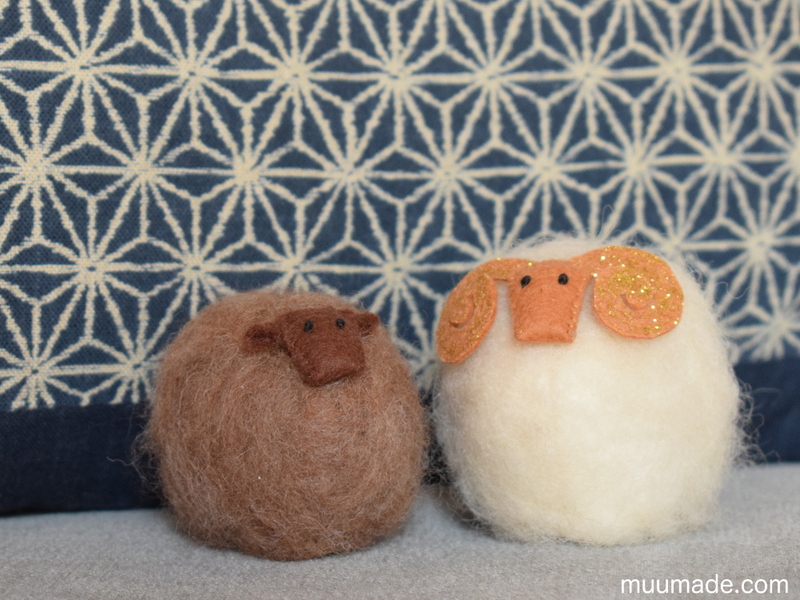 You can easily modify the Simply Simple Sheep, as shown above, if less cartoony decor matches your taste. I think that they look rather elegant with French Knot eyes. Also as you see, the sheep can be made without the pipe cleaner legs; that way, they have a more homey and settled appearance.